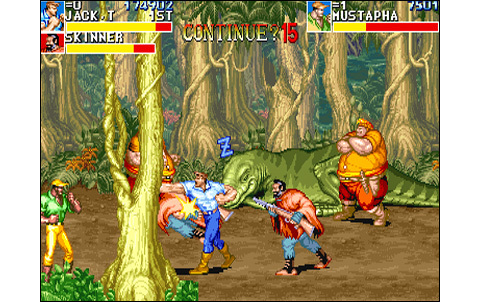 Adapted from the eponymous american comic, Cadillacs & Dinosaurs is part of the great family of Capcom's Beat them Up released in the early nineties. The editor surfed on the success of these games, featuring prestigious realizations and almost perfect gameplays. 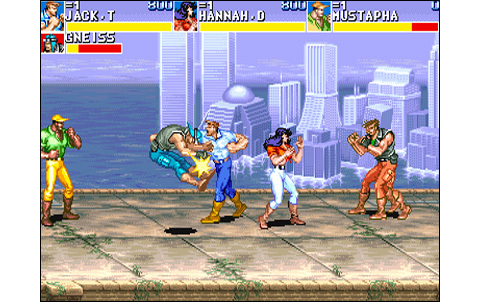 C&D is a direct inheritor of Final Fight and Captain Commando: this original title offers the opportunity to play three simultaneously in a post-apocalyptic world, during the XXVIth century... You and your friends can embody one of the four muscular heroes of the game, and get ready to kick asses of bodybuilded punk gangs of this desolated cities and natural fields of the future - which reminds pretty much of MadMax. There's also some impressive and beautifully designed dinosaurs. You'll encounter a lot of these all along the game, as they're used as pets by the brutal members of the gang. 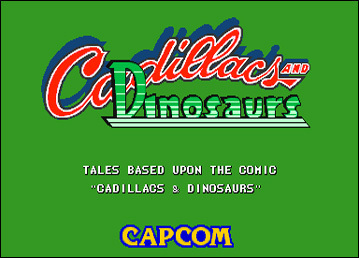 Incidentally, you'll come to drive a Cadillac car during fast scrolling levels: yes, the editor was forced to include these, as it's in the title! 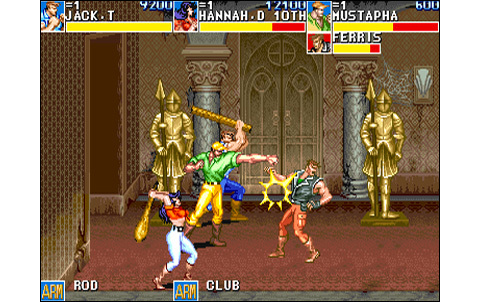 Players choose their favorite hero among four characters: Hannah, the pin-up with huge concrete bumpers punching enemies like a champ, Mustapha, the black guy with expeditious methods; Jack, the handsome square-jawed hero with balanced stats, and finally Mess, the big guy, the Mister Universe of the band. 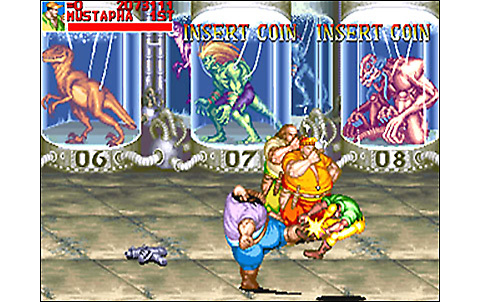 Let's start our analysis with the gameplay: it's simple and full of fun, as often in Capcom Beat them Ups. 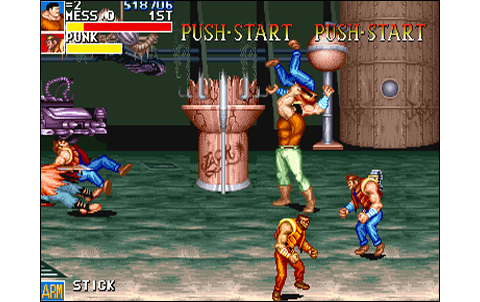 Like in Final Fight, you hit with A, jump with B, while the special attack is triggered with A+B, removing some life in the process. Barrels, guns, knives, flamethrowers, rocket launchers, uzis... The number of objects to collect all along the road is impressive, and the result in using some of this precious stuff is not less! 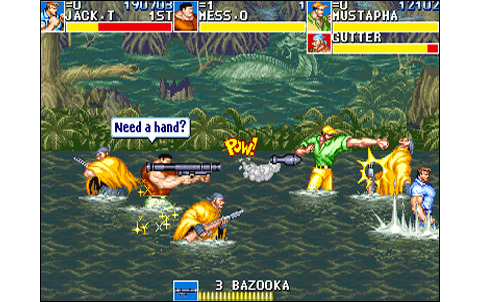 Throws, combinations, weapons... nothing is missing in C & D, and there's a lot of pleasure in knocking on the huge enemy sprites, whether dinos or humans. 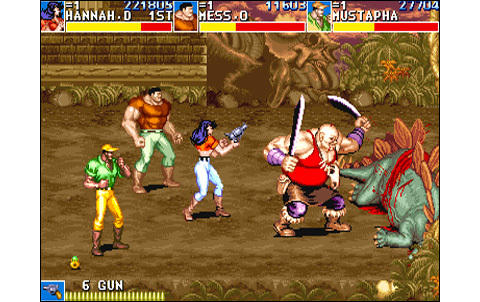 The game is not too much about harming the dinosaurs, which are just the victims down here! The gangs use these poor beasts by beating them, in order to have them aggressive and attacking humans. Be careful anyway, with some species that are more dangerous than others, like the T-Rex for example. The enemy sprites are beautiful, finely drawn, nicely colored : the game runs on the CPS, and it shows! 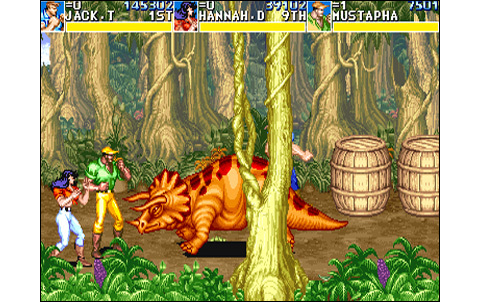 Dinosaurs can be very impressive at times, as most of the game Bosses. 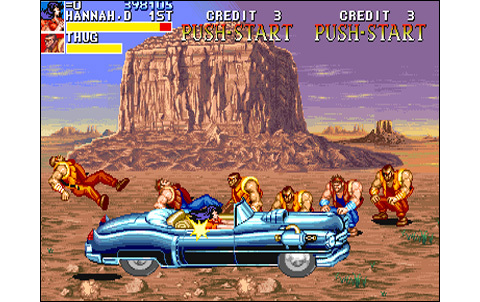 The Cadillac phases are funny though not providing much to the game, but a little diversity: it gives some amusement to drive a car rather than kick asses for some minutes. 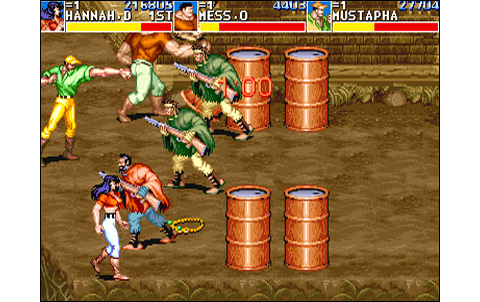 The animation during these phases of play, as well as during the fighting scenes, is simply excellent. Yes, Punisher or Alien Vs Predator have done slightly better since, but C & D simply rocks! 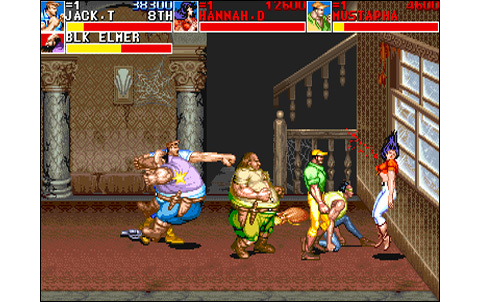 Music and sound effects are in tune, with impact sounds worthy of Street Fighter II - some might have been taken from the game- and rhythmic themes, with some Rock'n'Roll ones pretty catchy and other ones more dull : anyway, you hardly remember any of them after the game is over! That said, let's remind that the game runs on CPS, and the system is not known for providing good sound capabilities. 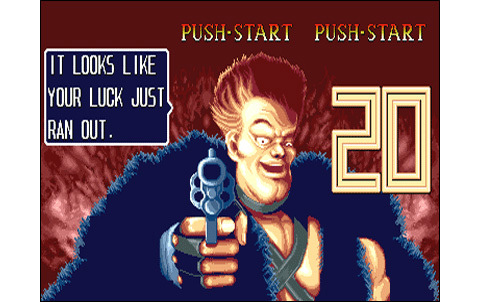 However, once will not hurt, this Beat them Up from Capcom offers a life way above average, since at best the game can be cleared in approximately one hour: it's a high life for a soft of this kind, and let's say rarely the rival editors have featured such a playing time in their own games. 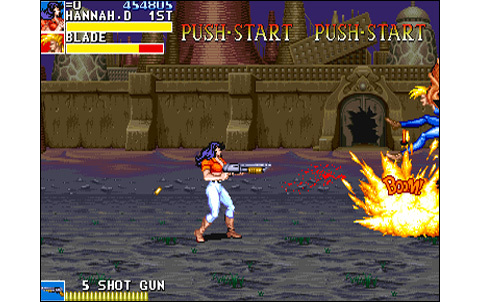 If you choose not to use infinite credits, the game can stand as a very good challenge, not ultra-difficult, but the 1CC might be seen as a great performance. 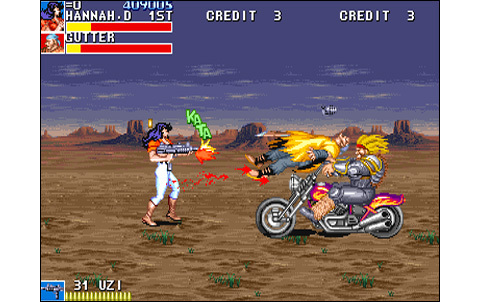 Capcom books once again one of the best arcade Beat 'em Up , this time for the year 1993... The editor dominates all other competitors in this very genre, in which he became a real benchmark. Amazing realization, irreproachable gameplay, great life, and above all, fun! What else could we ask for...? 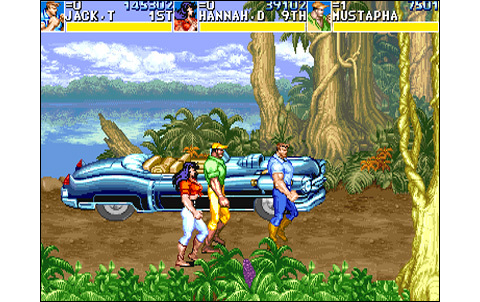 City, jungle, underground... Post-apocalyptic stages are beautiful and varied, as for the fighters all along the game. A benchmark for fluidity and smoothness back in 1993. 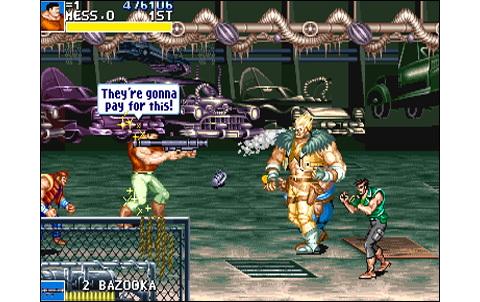 Capcom's mastery of this part of the realization is awesome, and can be seen in most Beat them Up made by the editor. Soundtrack is discrete but efficient with some good guitar riffs, while effects fit roughly the action. 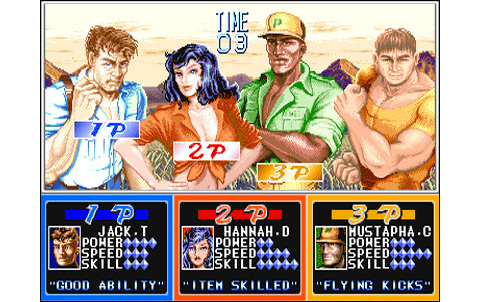 Long and varied stages, a standard difficulty that will not pull off players: C&D is long enough and you can come back playing 3 at once! 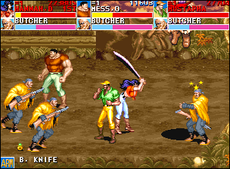 Taking back Final Fight basics with more smoothness and a massive arsenal of weapons, it's a great pleasure to explode some dinos or drive the Cad'. 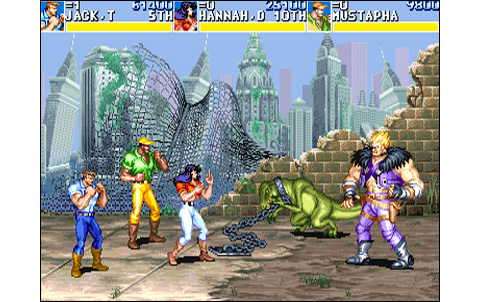 Top notch Beat them Up, once more wearing Capcom's signature, but this time featuring an original, old-school and classy Comic's scenario and atmosphere, à la Batman! 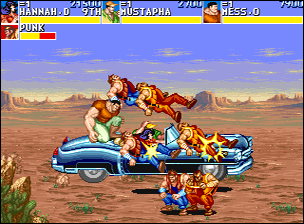 CPS and CPS-II Beat them Ups are one notch above those released on Neo Geo. In this shifted and futuristic style, you can go for Robo Army or Mutation Nation, released some time before. Sengoku 2 offers a similar quality, despite a very different style.